I love hot peppers, and these big fryers are just spicy enough to make a stuffed pepper with a lot of kick. 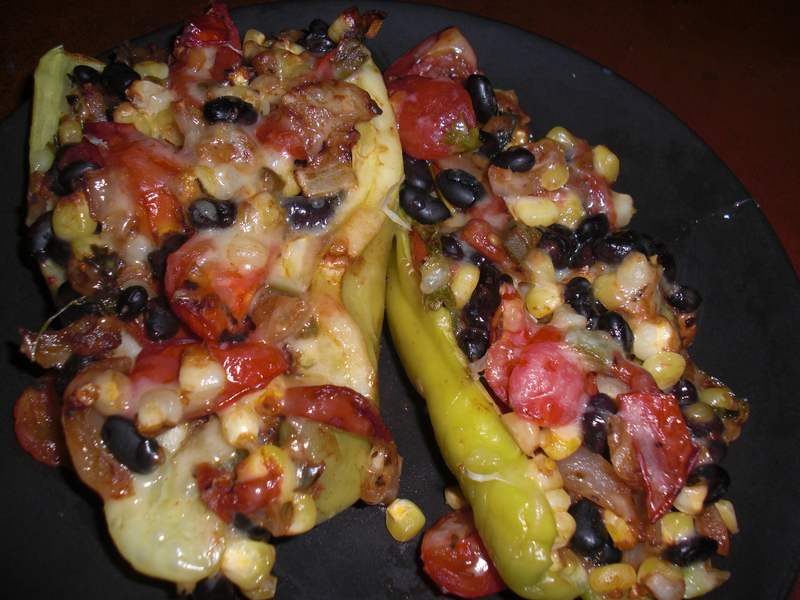 I did these simply-style – black beans, fresh corn, some chopped tomatoes, fried onions and a little gargonzola. My kitchen was out of commission, but the toaster oven worked just fine with this quick, fresh dinner.